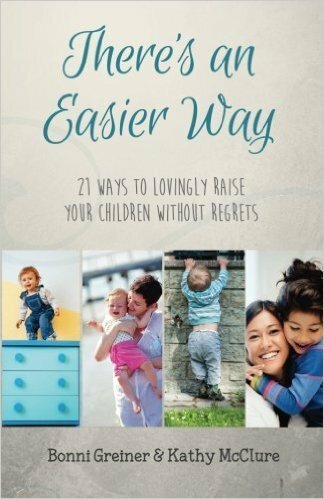 Wouldn’t it be nice to have a parenting manual? A plan you could follow with an outcome of awesome adult children AND no regrets about how you raised them? Since this episode originally aired in May of 2016, Bonni has released a new project. 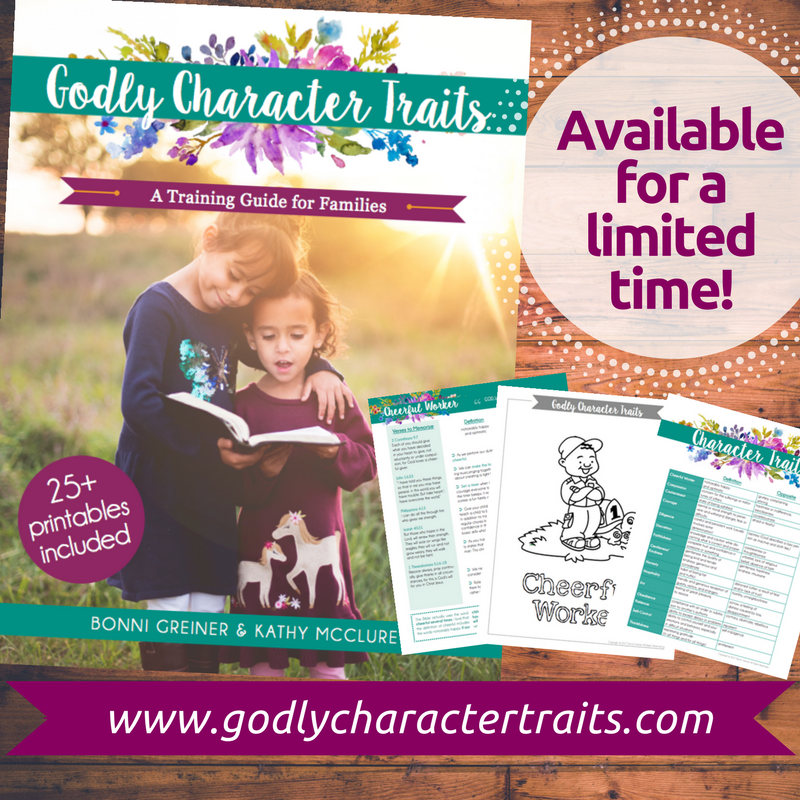 Helping parents train Godly character. AND they have an 8-week private Facebook group running to help support you in training your child in Godly character. The group started in Mid-June and runs to mid-August. But all past videos of Bonni’s wisdom are still available. 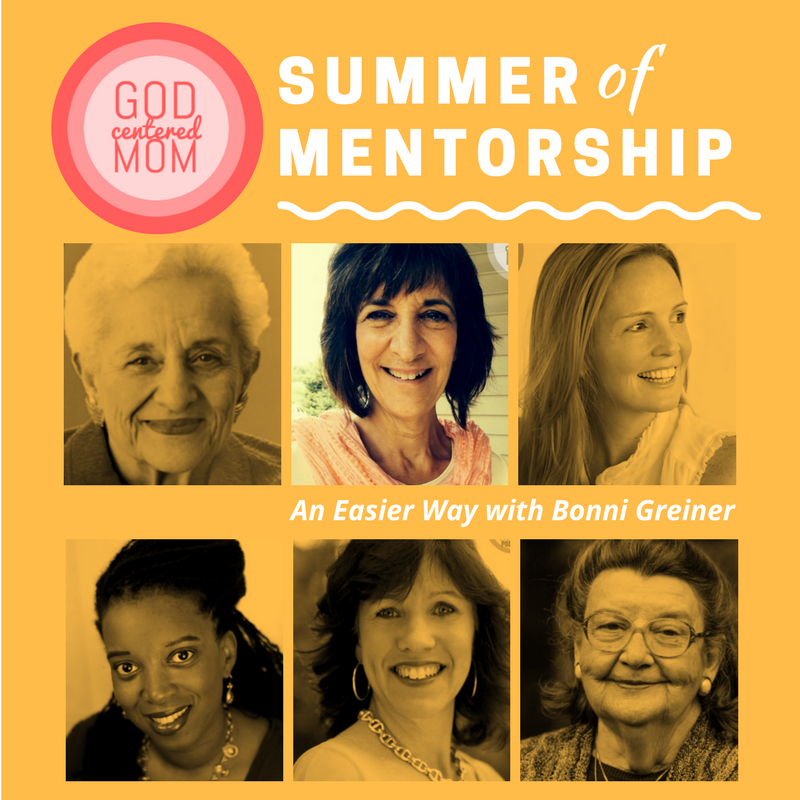 Bonni describes being and “angry mom.” Do you struggle with anger? Have you tried her solution of leaving the situation when you feel your anger rising and taking a moment to pray? Partner with another mom to check in on your progress of letting God take your anger. Think about your child(ren). In what ways can you love them based on the fact they are created in God’s image vs. their performance? Have you defined your family’s non-negotiables? Make a list of the traits you want to sow into your children. They don’t have to be the same as Bonni’s! Building in one-on-one time with each of your kids is important. Do you have a structure in place to have focused time with each of your kids and hear their hearts? Comparison is the thief of joy. What are some areas of parenting you find yourself comparing with other moms/families? Ask God to reveal where you can find places of joy in parenting and avoid the comparison trap. When is the last time you laughed with your kids? Find ways to be lighthearted and laugh with your family this week!